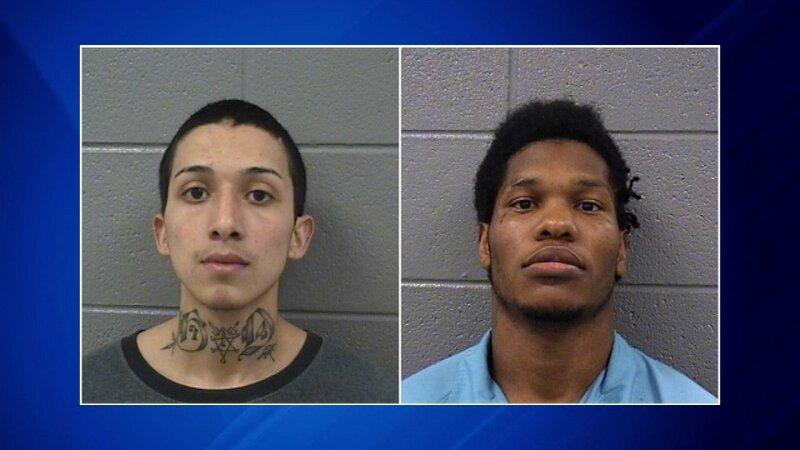 CHICAGO (WLS) -- The Cook County Sheriff's Department has identified two Cook County Jail inmates accused of taking another inmate hostage Thursday. The department released video Friday of how correctional officers ended a hostage situation inside Cook County Jail. Members of the jail's emergency response team used flash grenades to end Thursday night's standoff in the jail's maximum security division. Two inmates were taken into custody after they held another inmate hostage with a sharp object. The Sheriff's Office has identified the two inmates as Martin Alvarado, 24, and Cardarryl Stevenson, 27. Alvarado and Stevenson are expected to face new charges. The inmate that was taken hostage was treated for minor injuries.